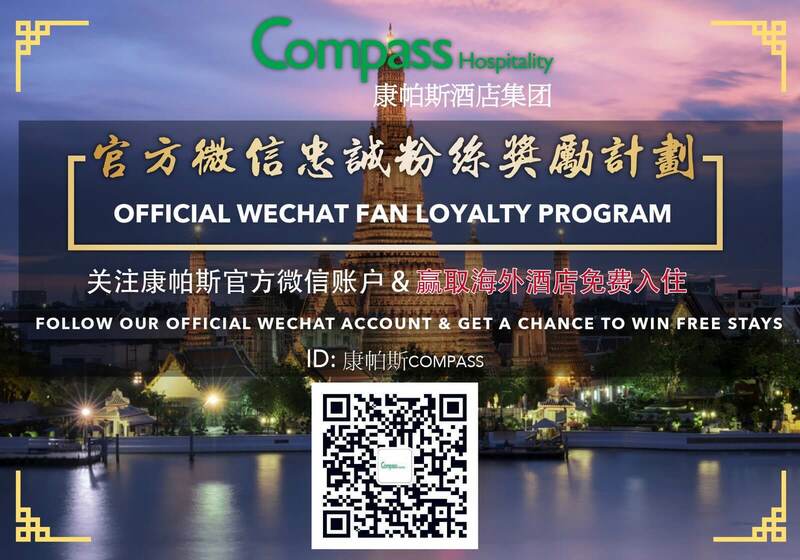 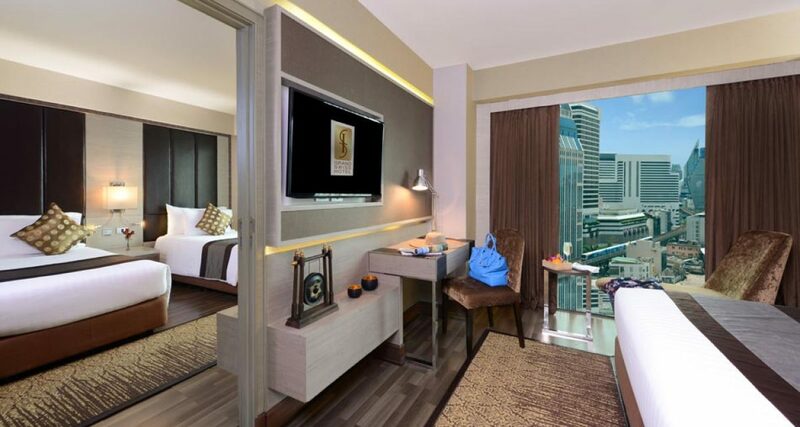 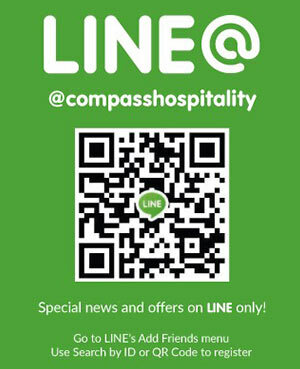 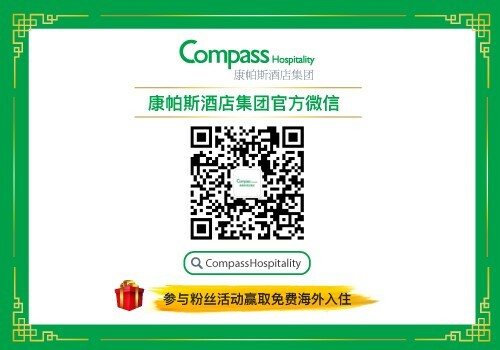 The Grand Swiss Sukhumvit 11 hotel managed by Compass Hospitality is a modern and contemporary hotel in Bangkok. 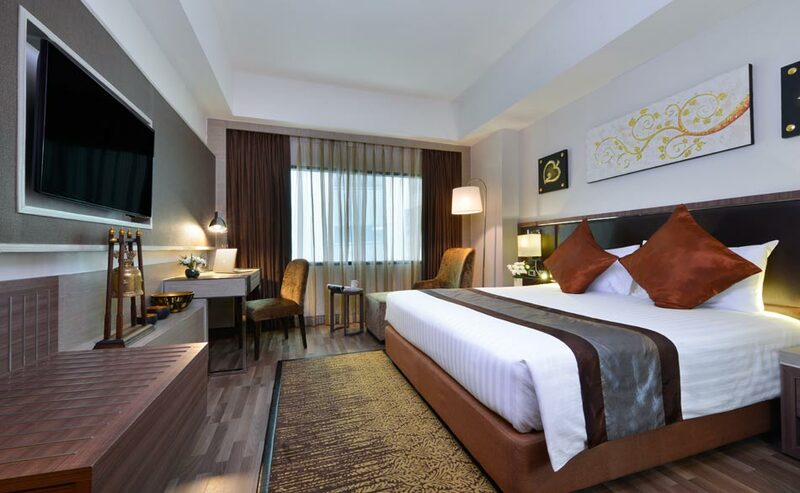 The hotel is located next to NANA Sky train station and Sukhumvit MRT station making it very accessible for tourists as well as business travelers. 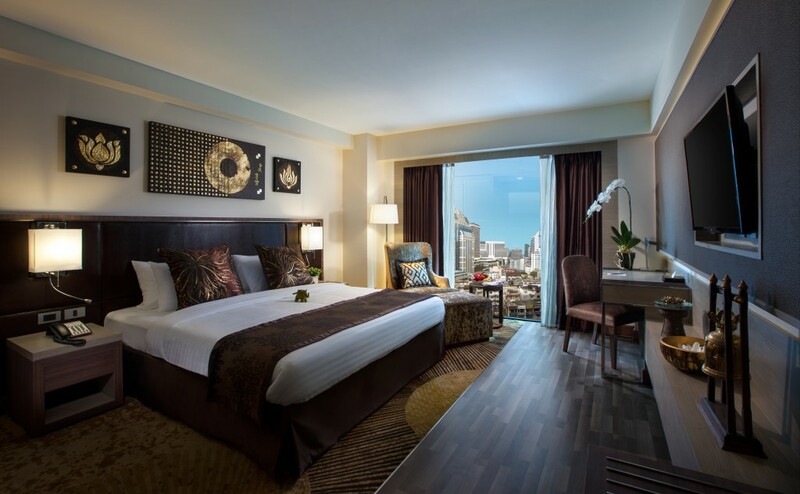 Just a short distance away from our hotel, near Terminal 21, you can find great shopping areas as well as bars and restaurants on the popular Sukhumvit Soi 11. 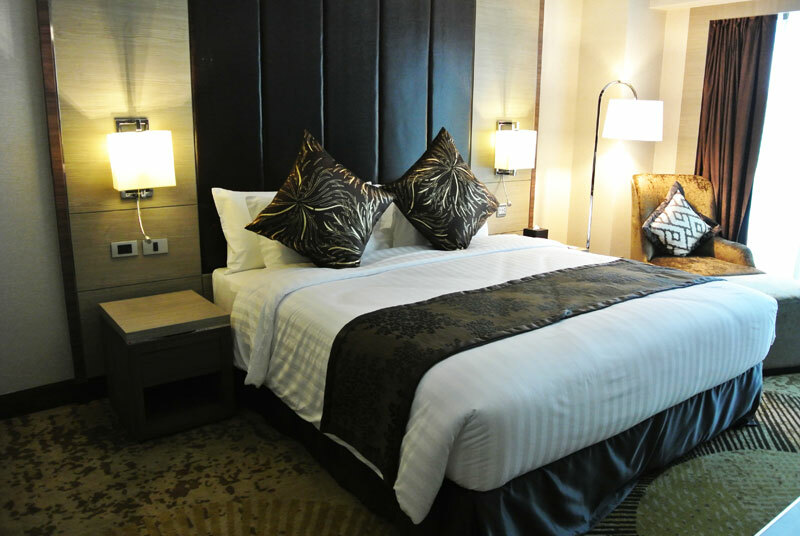 The highlights of our hotels is the rooms, our restaurants and the swanky roof top bar which is place to be in Sukhumvit. 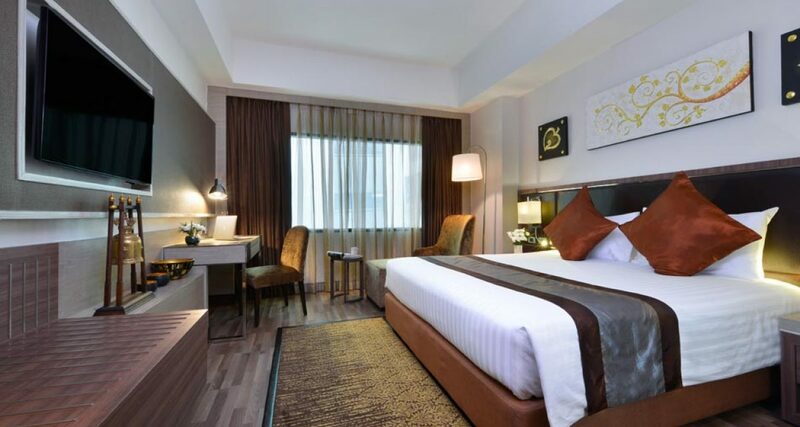 The Premier Room is well-appointed and luxuriously furnished, featuring modern conveniences and facilities such as a 40” LED flat screen TV that comes with cable and satellite channels, a work area with working chair, shower cubicle with both rain shower and handheld shower and other basic amenities.The Premier Room provides a comfortable retreat in which one could relax from a busy day. Executive Room provides all the basic amenities and features which other room category has but it is located on the higher floors, offers additional Club Lounge benefits. 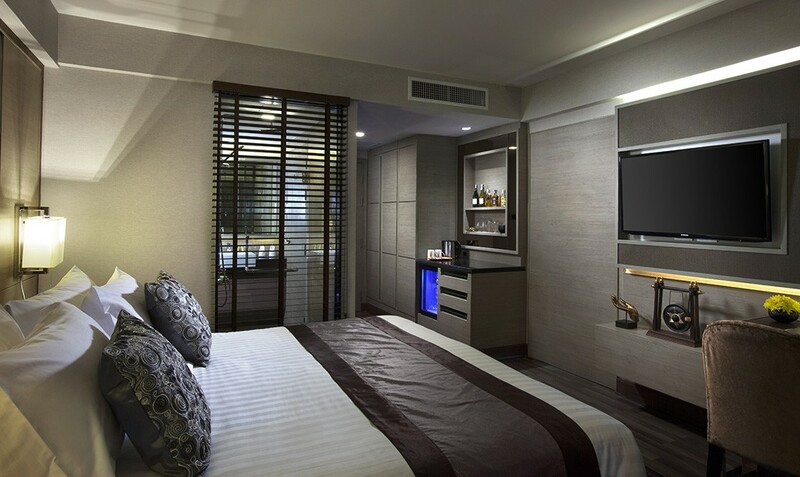 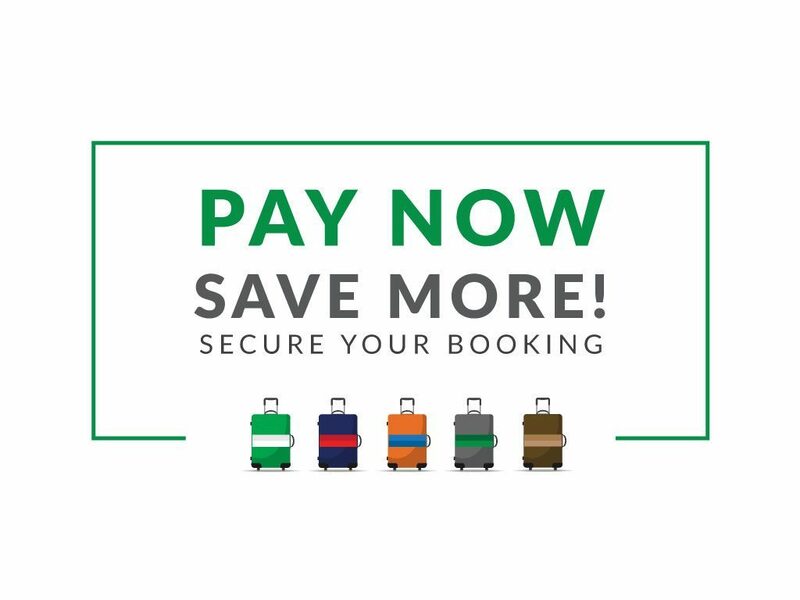 Some of the striking inclusions of the club benefits are personalized check-in and check-out and personalized concierge services among the rest. 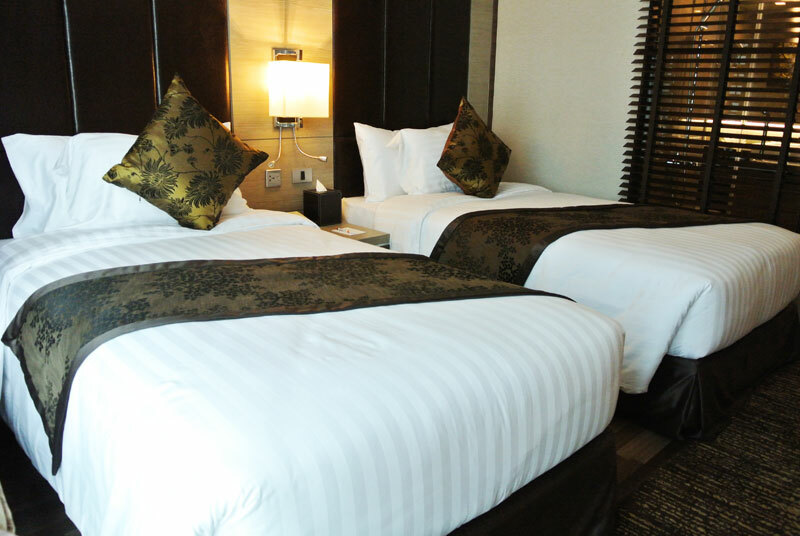 It is consisting from 2 premier room, First room has king bed and second room has twin beds. 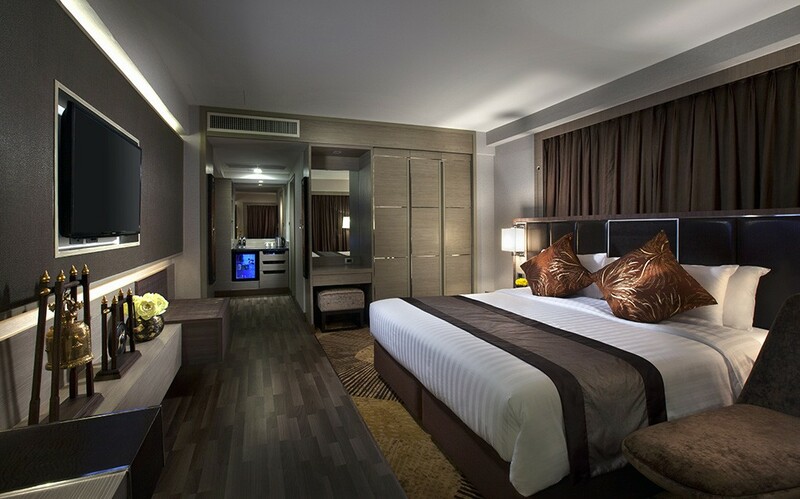 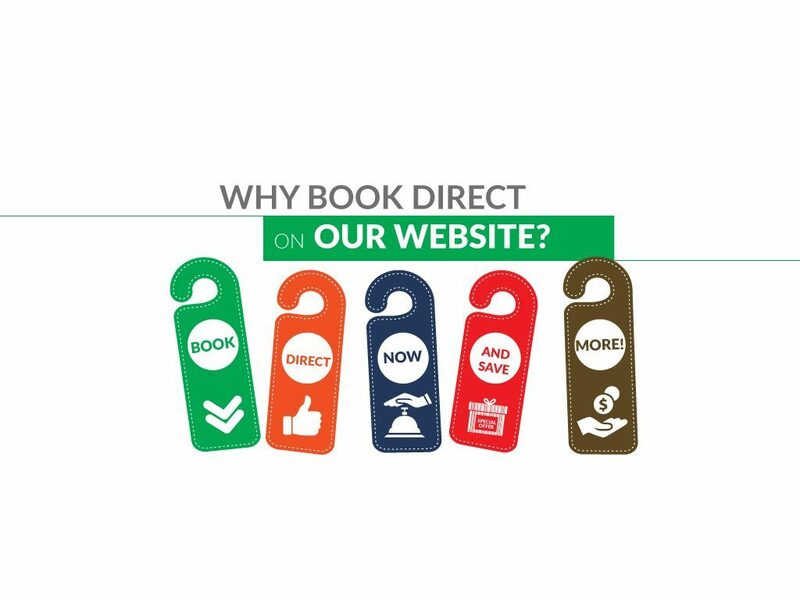 Each room provide screen TV that comes with cable and satellite channels, a work area with working chair, shower cubicle with both rain shower and handheld shower, the Premier Room provides a comfortable retreat in which to relax from a busy day. 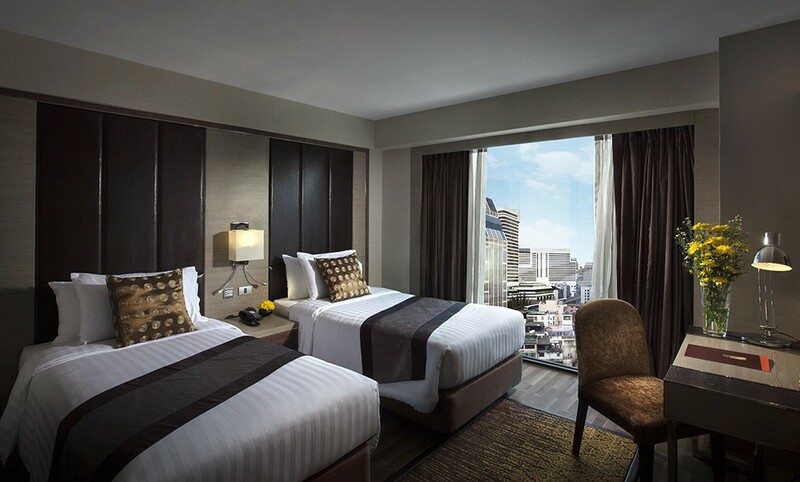 Located on floor 18, our Executive Suites only have 2 of its kind in the hotel, features a king-sized bed and a separate living area, providing more space in which to relax and fully enjoy your stay in the heart of downtown Bangkok. 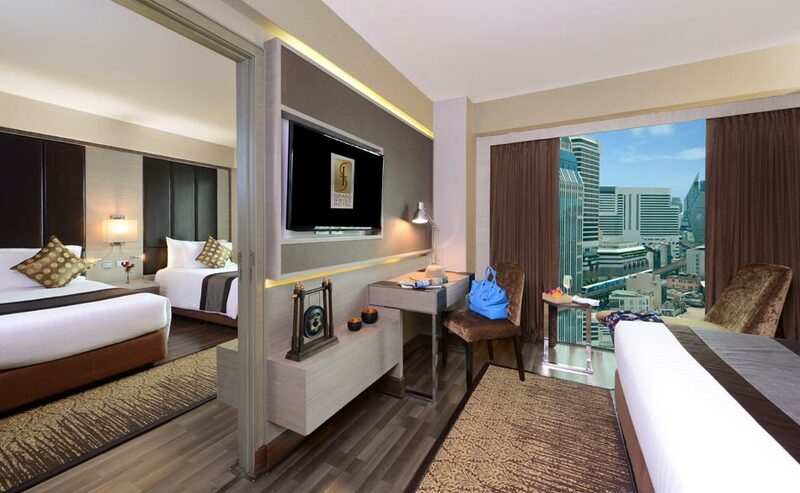 Guests staying in the Suite will also enjoy Club Lounge Benefits, including complimentary seasonal fruit basket upon arrival, complimentary daily Bangkok Post newspaper, and personalized concierge services. 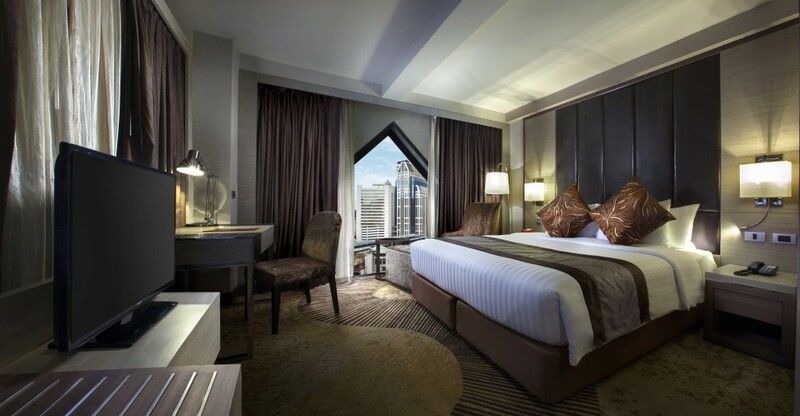 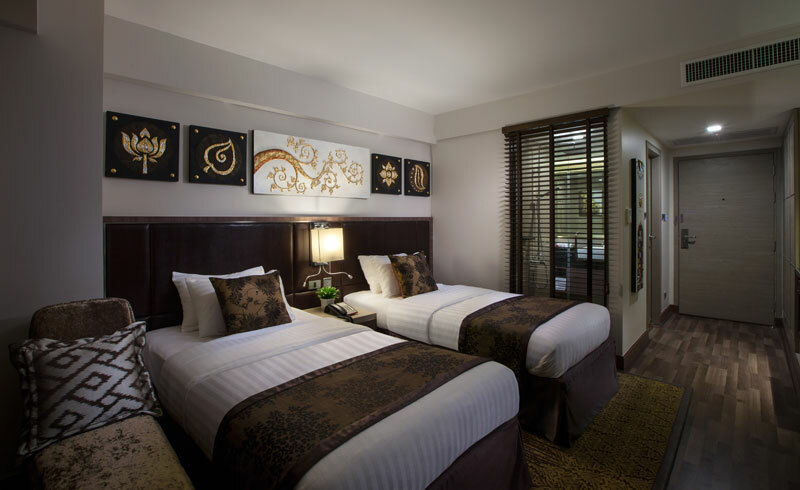 With extra space, the Grand Premier Room is larger than Premier Room. 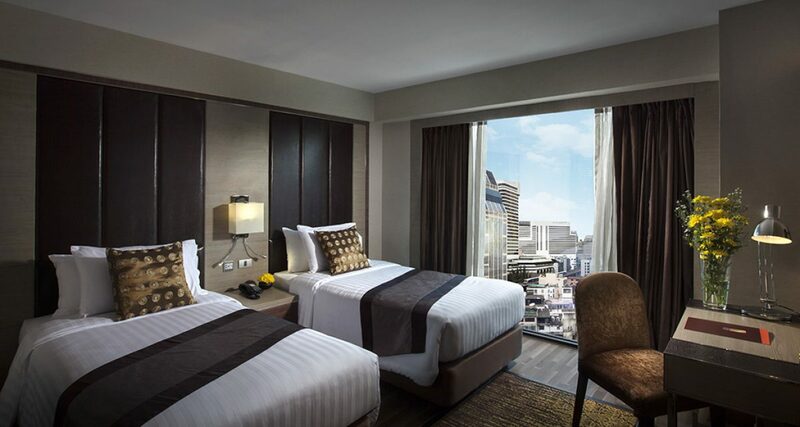 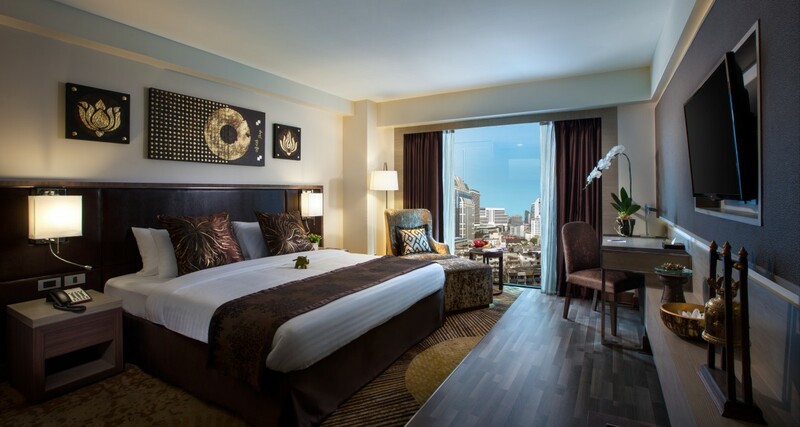 Grand Premier Room provides the perfect combination of modern conveniences and comfort that the premier room has,it has contemporary Thai decor, and fantastic views of the city, and don’t forget the superb viewing entertainment with our 40” LED Flat Screen TV. 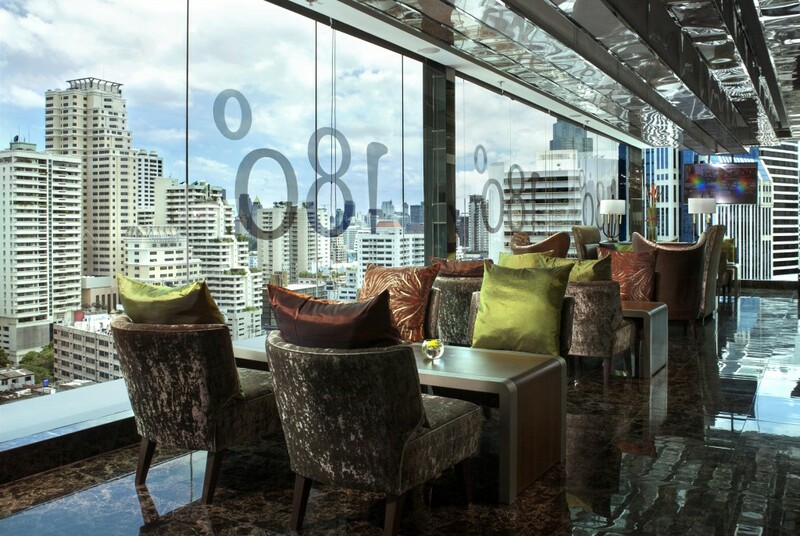 Dining at the 11th Avenue allows you to indulge in high service standards while still enjoying a casual and easy-going ambiance. 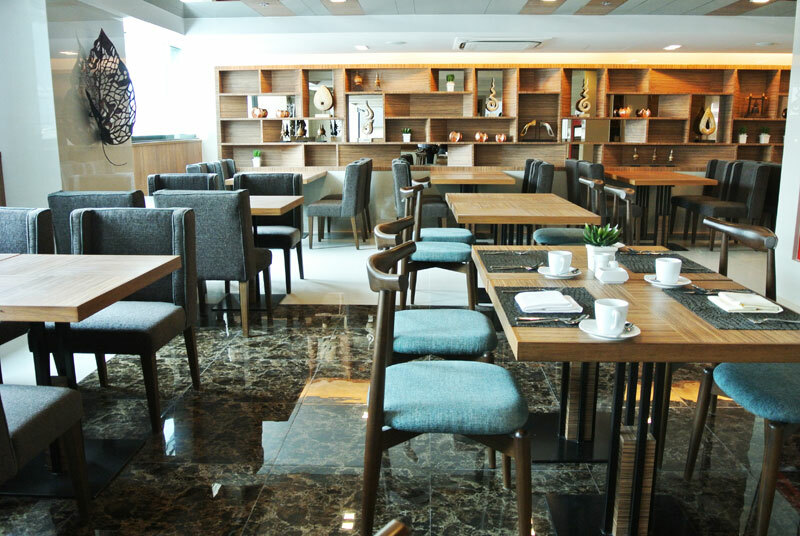 The 11th Avenue offers both local delights and Swiss signature a la carte dishes all day long and an extensive buffet breakfast from 6:00 am to 10:30 am. 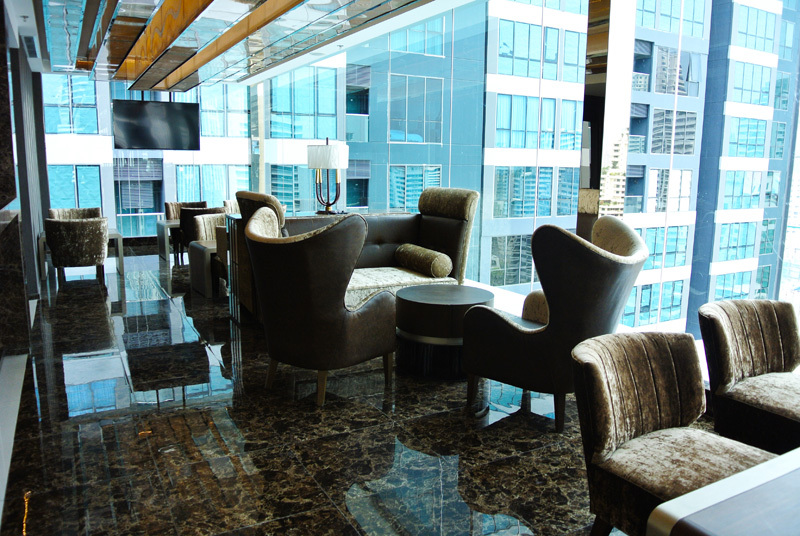 180 Degree Lounge can be accessed by guests staying on the Executive Floors. 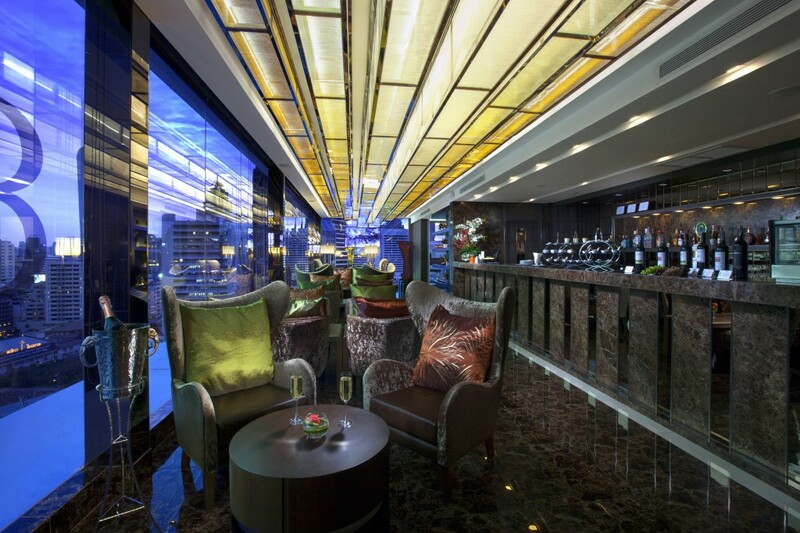 Located on the Rooftop of the Grand Swiss Hotel, the 180 Degree Lounge provides a seating capacity of 49 with stunning views of the city skyline where you can enjoy evening cocktails in comfort and relaxation. 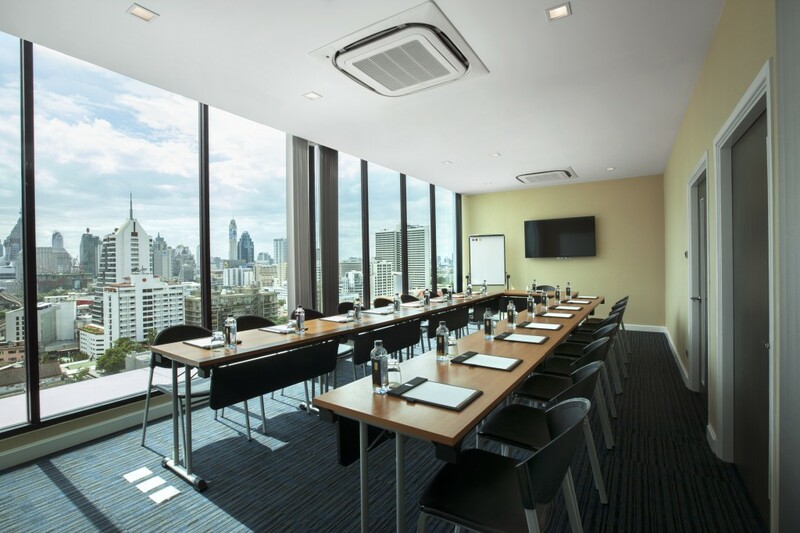 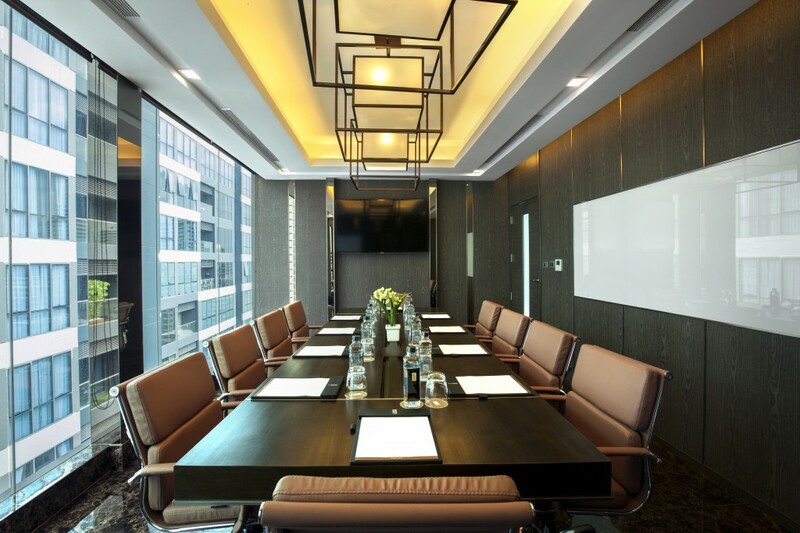 To find out more about hosting your next meeting with us, call +66 2 253 2000 or send us an email with the details of your planned event and we'll get back to you with a proposal.